In Rhodes Island in Greece, we offer 2 hotels in the resort of Lindos and Gulet cruises from Rhodes harbour. The Small & Friendly Caesar's Gardens Hotel - 1.2 km from the resort centre. 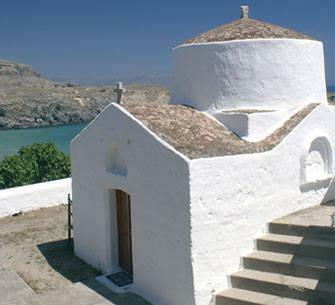 5* Lindos Memories Hotel - 1.5 km from the resort centre. Our Gulet cruises from Rhodes harbour travel around the Greek Islands. Rhodes is one of the larger Greek Islands and enjoys excellent weather throughout the summer months. In May and October you should expect sunny days but cooler nights. During your visit to Rhodes you can enjoy many excursions, great beaches and a selection of bars, shops and nightlife. Whatever you want from your solo travel holiday Rhodes Island has something to ffer everyone.